Comment: Looking into purchasing a 1034 SF house that has foundation damage. Will need to be lifted, and raised to prevent future damage and trying to get an estimate of this cost to negotiate offer. Comment: House was built in 1958. 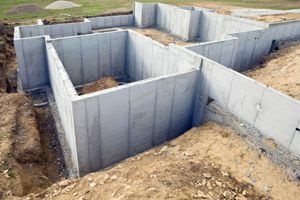 Foundation is partial ground level, partial open crawl space. Comment: Found significant gap between dirt and concrete stairs to our basement door. Comment: Moved into new home and removed floor in basement, noticed a crack that spans the basement and the floor is unlevel. Need to see if it is a structural concern or possibly a future concern. Comment: Planning a 28' x 56' home addition. We are in design phase but getting quotes for other major pieces of project. We want a full basement with 9' walls. It will be a 2 story structure. It will have an exterior entrance as well. Please give approximate estimate for a full basement- it's just to get a range and see what local contractors are interested. It will be a Dec. 2019 project. Thanks in advance! Edgewater Foundation Contractors are rated 4.56 out of 5 based on 2,135 reviews of 25 pros. Not Looking for Foundations Contractors in Edgewater, MD?